One way to approach the concept of Conflicting Perspectives for Module C is through imagery and extended metaphor. Conflicting Perspectives are about how people standing in differently places, see things (events, personalities, situations) in different ways. You know what else people see differently depending on their perspective? Art. 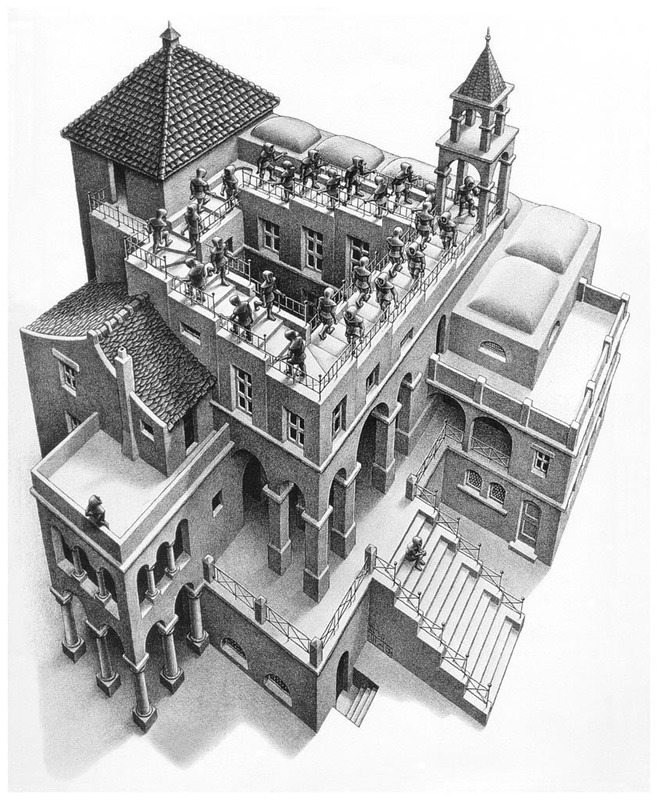 Conflicting perspectives are an inevitable part of the human experience (the figures are trapped within the staircase, heading in opposite directions). Conflicting perspectives are shaped by differing contexts (how you look at the image directs whether you see the figures as “ascending” or “descending”). Conflicting Perspectives are shaped by both intimacy and distance (when viewed up close, Gala is Dali’s beloved wife; from a distance, she becomes a construct). 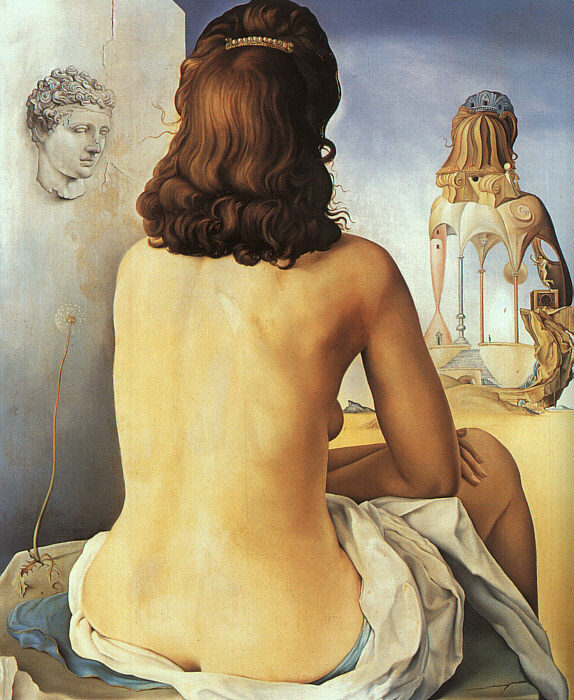 Conflicting Perspectives can exist within an individual (it is Dali, the artist, who sees his wife in these two ways). These images could be used as related material by students who are confident in visual analysis; or they could be used as extended metaphors to shape the ideas in an essay.